Prerequisites: Noctis must be allowed to drive during the day and night, the Ascension-Exploration/Roadrunning node must be activated, the Regalia Type-F (beat the game), and sticky tape (but not the residue leaving kind). 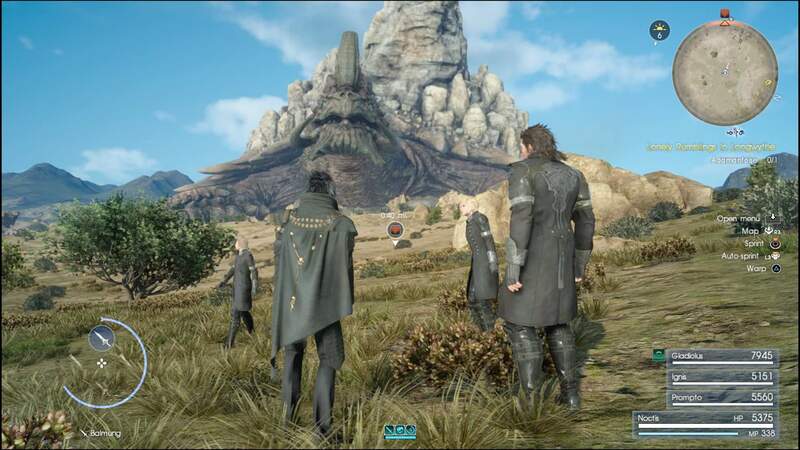 Drive to Lestallum and switch to Manual (Noctis drives). Start heading southwest and tape down the R2 button. 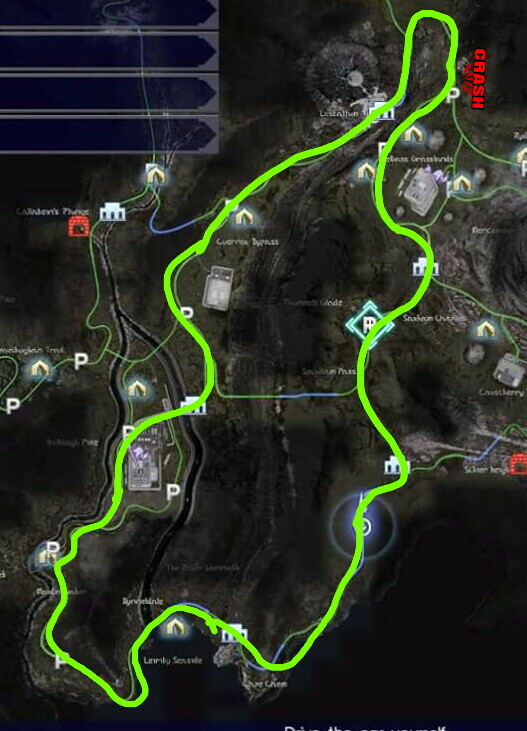 You will drive in an endless circle gathering up AP along the way (the green circle in the figure below). Notes: You will hit the guard rail where I put “CRASH” on the figure below every single time, you will occasionally hit other cars, and, if Prompto hasn’t asked you who he should take pictures of, he’ll ask once and not again until you rest; otherwise, you will never be bothered. Lasagna al Forno: HP+4000, Double EXP, and nullifies fire, ice, and lightning. 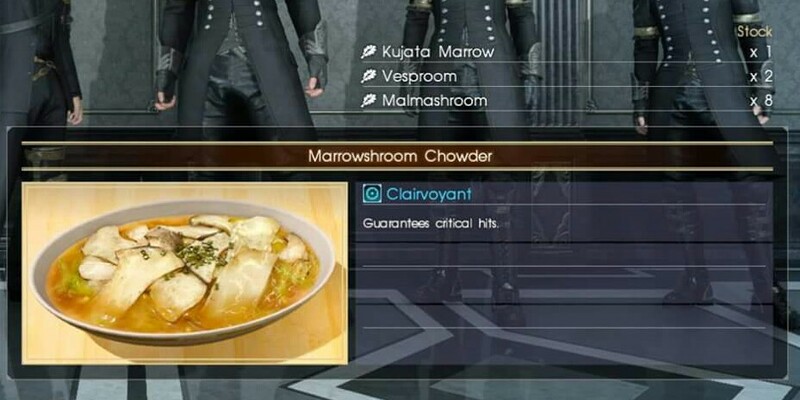 Marrowshroom Clowder: Guarantees critical hits. Each 24 hour cycle is roughly 48 minutes real-time. Playing Justice Defenders 5 doesn’t stop the game clock. Pressing Triangle while driving activates the car horn. If you hear, “imperials above us” or “magitek engine, it’s close” and you don’t want to fight, find a tree to hide under and they’ll leave after a short time. The entrances to Steyliff Grove and Castlemark Tower are only open at night. Paths. Look for paths. Almost everywhere you go will have at least a partial well-beaten path to follow.